To celebrate our 50th birthday in 2017, enthusiastic club volunteers reinvented a classic event from the clubs past, the George Ford Road Rally, as our first scenic tour. The Two Rivers Tour was born. The 2017 event was a resounding success, with many entrants calling for the event to be a regular calendar fixture. Well, we don’t like to disappoint at Forresters Car Club, so by popular demand its back for 2018! The tour will run on Sunday 9th September. 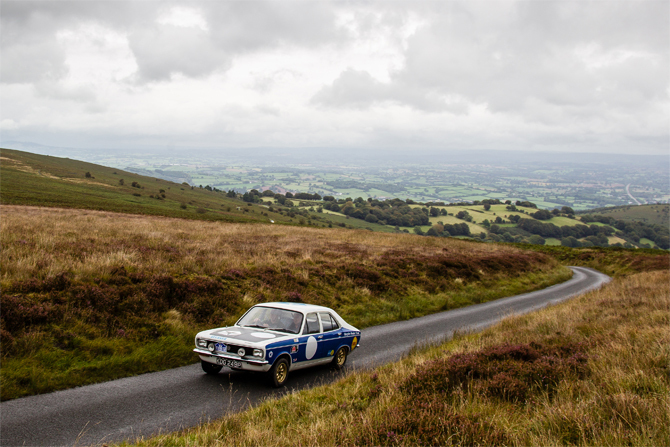 The 2018 event will run to a very similar format, but with a revised route taking in more of the beautiful scenery of South East Wales over 120 miles of choice driving roads. The tour departs from the Rhymney Brewery in Blaenavon with complementary bacon roll and tea/coffee, stopping for mid-morning refreshments and will finish at the Huntsman Hotel in Shirenewton for a two course meal. The entry fee for a crew of two is £75, with additional passengers costing £20 per person. Further information, news, regulations and entry forms are available from the Two Rivers Tour event pages on our website and the event Facebook Page. We hope that you’ll be able to join us for a fantastic day out.